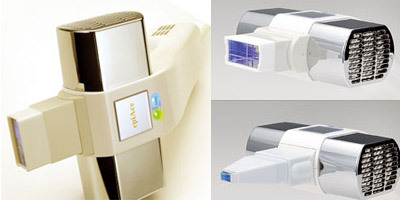 The epiAce® Light is designed to offer everything you need in a two-in-one hair remover and facial device. It is lightweight, easy to use and gentle on the skin, and it produces visible results with total safety. 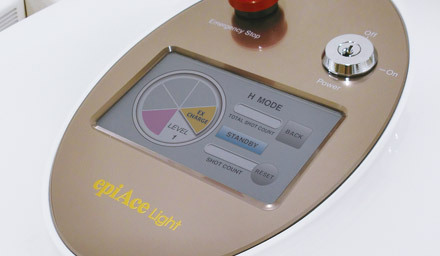 Developed and produced using state-of-the-art Japanese technology under rigorous quality control, The epiAce® Light provides a level of quality and comfort that is sure to satisfy beautician and customer alike. Add real value to your business with the epiAce® Light. Designed so that the head of lamp unit sticks out from the body, the epiAce® Light ensures a much better fit with the treated area and enables you to keep a close watch on surrounding areas. What’s more, the epiAce® Light features an ergonomic form that fits your hands perfectly and is wonderfully light, thus reducing fatigue during those long operations. Never have so many advanced features been encapsulated into such a radical and user-friendly form. Our development of an advanced cooling device has reduced the time between shots to an incredible 1.4 seconds—almost half the time previously required. Such improvements in speed have the potential to drastically improve the efficiency of treatments by reducing the time needed and relieving the burden on the customer. Because the epiAce® Light is something customers will see, we worked hard to come up with a design that combined an elegant appearance with low noise output. 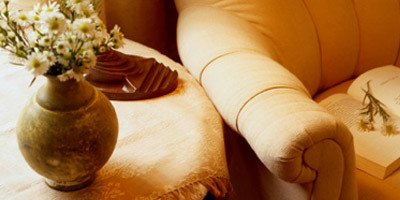 The result will add to the sophisticated atmosphere of your salon. The epiAce® Light was produced in Japan—one of the most technically advanced nations on earth—under strict quality control conditions. The result is a level of quality that has allowed The epiAce® Light to pass stringent inspections with flying colors. The epiAce® Light is also backed by our quick-response support system. The monitor uses a touch-panel system for easy operation, and has a large and easily visible screen, thus facilitating smoother treatments. The epiAce® Light comes with a self-check program that allows the unit to inspect its own status and diagnose problems. Any time The epiAce® Light needs a lamp changed or some other problem arises, The epiAce® Light will let you know via the monitor screen. 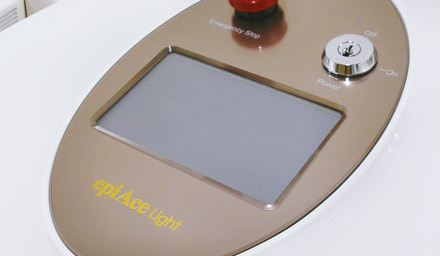 The epiAce® Light’s xenon lamp has been fine-tuned to the optimal wavelength and output fine balance of safety and performance. Now you can perform high-quality treatments while still being gentle on your customers’ skin. High powered precision machinery designed for professional use generally emits strong electromagnetic waves. The epiAce® Light circumvents these concerns with a safety-oriented design that cuts those waves to the furthest extent possible. 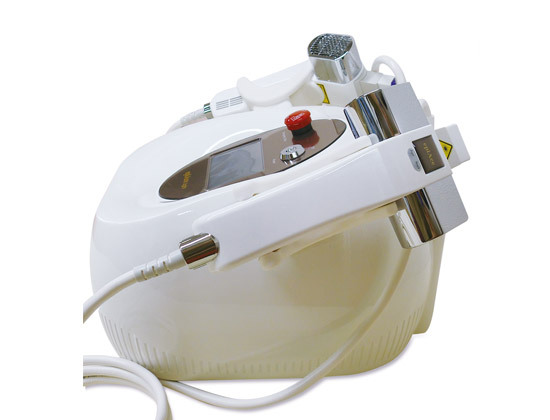 In addition to the standard head, you can choose from two optional heads sized to suit different areas of treatment. 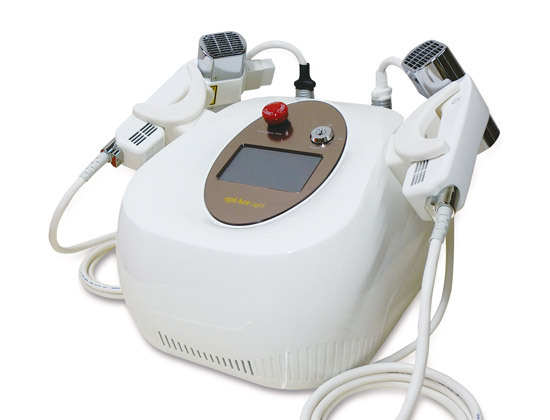 For instance, you’ll find the compact head ideal for bikini lines, pubic areas and other delicate areas; and the larger head for backs and other broad areas.